Place Jacques Cartier is a picturesque city square situated in the heart of Old Montreal. 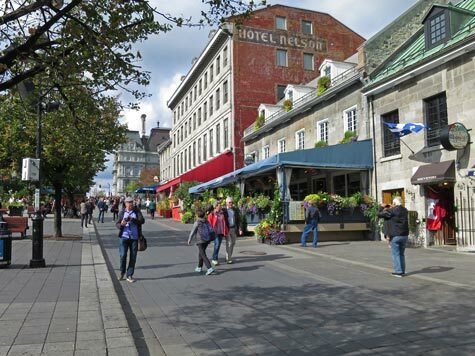 First established in 1804, Place Jacques Cartier is surrounded by 17th century houses and other buildings. Place Jacques Cartier was originally set-up to as a marketplace. Today, it is a popular venue for both locals and visitors to the city. The square is a wonderful place to people-watch, enjoy a coffee or dine out at one of several restaurants located on the parameter of the square.